But enough of my favorite songs, let me put a spotlight first on the Xtreme Magic Sing Products that you might want to check out, so you too, can enjoy singing your favorite (and latest) tunes. 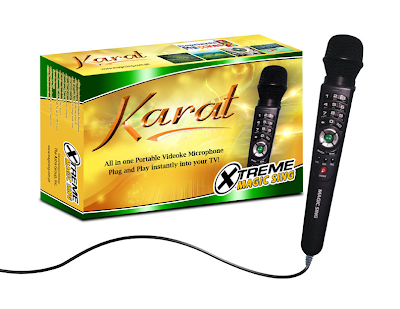 The XTREME MAGIC SING KARAT is an all-in-one portable videoke microphone. For people who wants the basic stuff, this is the product you are looking for. It's plug-and-play functions instantly to your TV and has 2,300 built in songs, which 600 of them are OPM hits. It has 4 song chip slots, should you want to add more songs, with 8 interactive games you can play with your kids. But what I love is that it can record and play songs. Definitely brings musical memories with that feature. 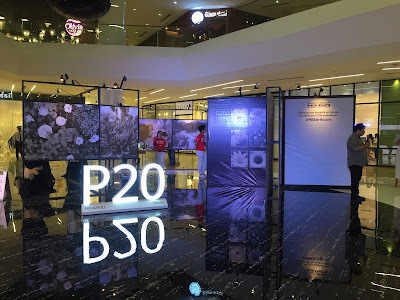 This is priced at Php6,900. Looking for a videoke microphone that's packed with features? 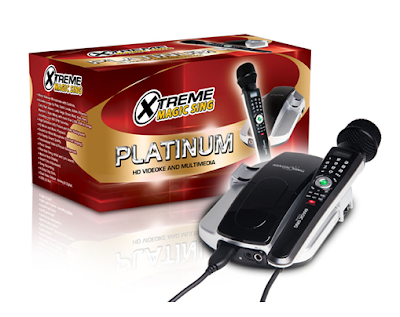 Then the XTREME MAGIC SING PLATINUM is your perfect match, With its 2,500 songs that feature Pink, Demi Lovato, Rihanna, Carly Rae Jepsen and other international singers is perfect for your inner diva. It also has High Definition picture and video background, so if you say your screen is like 80 inches or more, the quality is still in its crisp form. And you can sing in duet because it has a socket for wired microphone and has hi-fidelity sound quality. 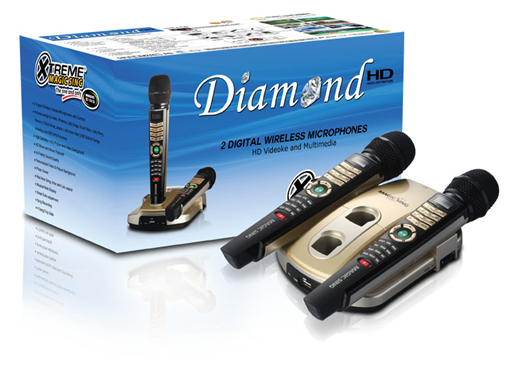 XTREME MAGIC SING DIAMOND has not one, but two digital wireless videoke microphones. 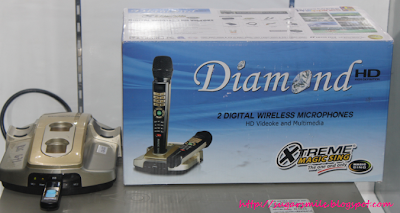 With its HD picture and video background, your movies and videoke songs wouldn't sacrifice quality. 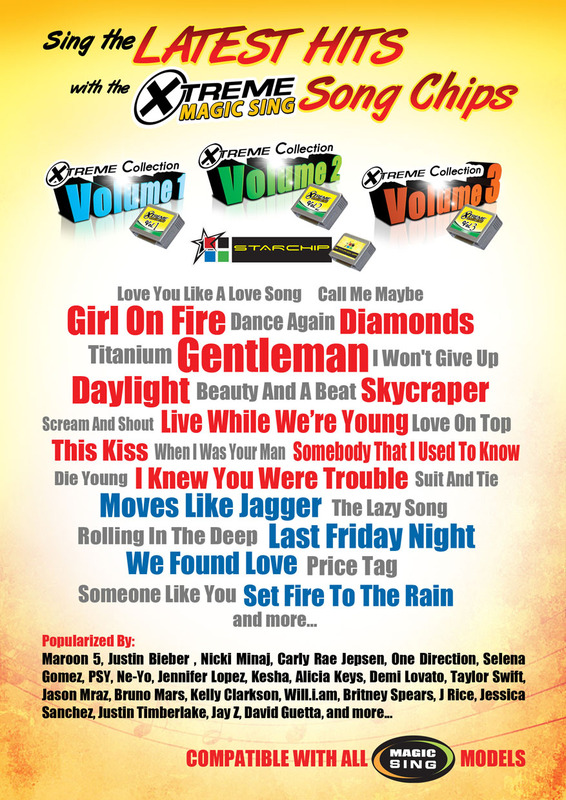 It has 2,600 built in songs from the likes of Psy, Adele, Rihanna, Bruno Mars, Katy Perry and has 800 OPM favorites. Its sound quality is hi-fidelity so if you sing a duet, one does not overpower the other singer. Basically, it's a win-win situation for couples who love to sing (Note to self: Sing more duets with the boyfriend). This cool feature is a favorite: You can PERSONALIZE video and picture background! Yes, I'm a big fan of selfies so you'll have no problem inserting your prized picture while singing. Yes, it might be vain, but it's actually cool if you see your face feeling confident and all. It also has a photo viewer, musical note display, song recording, 4 song chip slots, dual video output and USB Flash Drive and HDD compatible. I would recommend this for professional singers or singers who wanted to improve their craft. 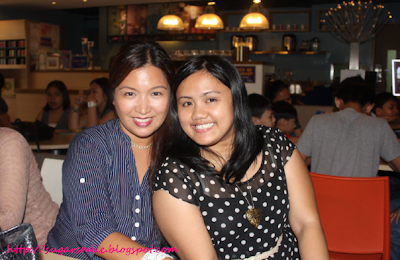 Who knows, you might be the next Sarah Geronimo in the making. SRP is Php19,899. 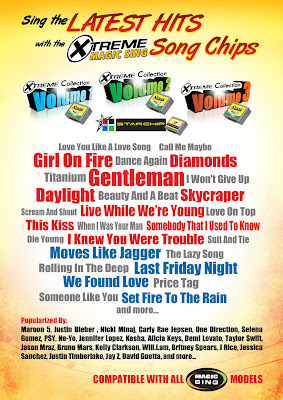 XTREME MAGIC SING also has song chips you can avail, should you want a diverse song list. It is compatible with all Magic Sing models so you're ready to go and be the inner diva you always wanted to be. I definitely can't wait to get my hands on these. Especially with my birthday coming up in a few months, the XTREME MAGIC SING is a handy tool to celebrate with my family and friends. 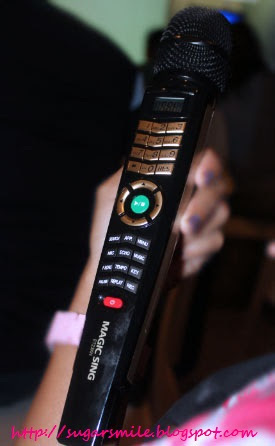 I'm sure that my aunts and uncles will enjoy singing with Magic Sing, especially with its fabulous features. 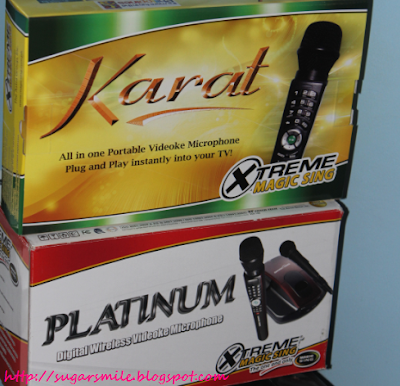 To know more about the XTREME MAGIC SING products, you may visit www.magicsing.com.ph or LIKE them via their Facebook Page.